The south [river facing] wall of Fort Wayne as seen from above the sally port gate. Facing cannon ports provided enfilading fire opportunities against attackers. 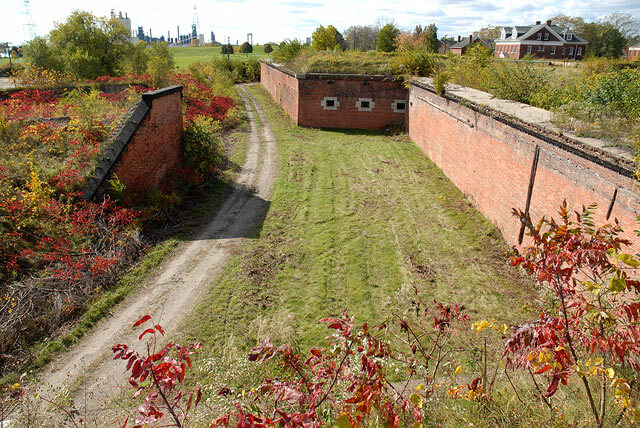 To the left the 'demilune', a stand alone fortification, had cannon emplacements that once covered the shipping lanes of the Straits of Detroit. Beyond, in the distance, can be seen the parade grounds and the smoke stacks of the Zug Island iron ore smelters. 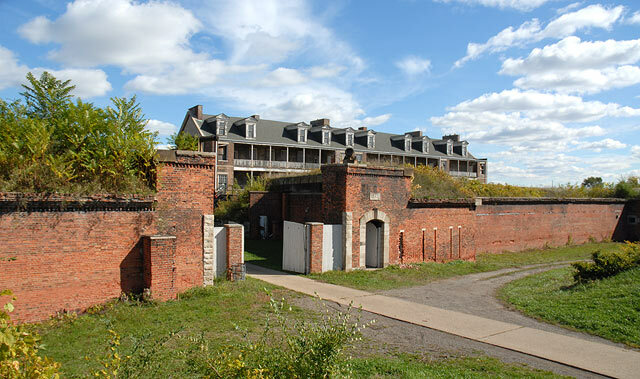 From atop the berm can be seen the parade grounds where Civil War regiments once trained and, beyond, the Ambassador Bridge and the skyline of downtown Detroit. Below: The main [west] gate to Fort Wayne with the barracks beyond. 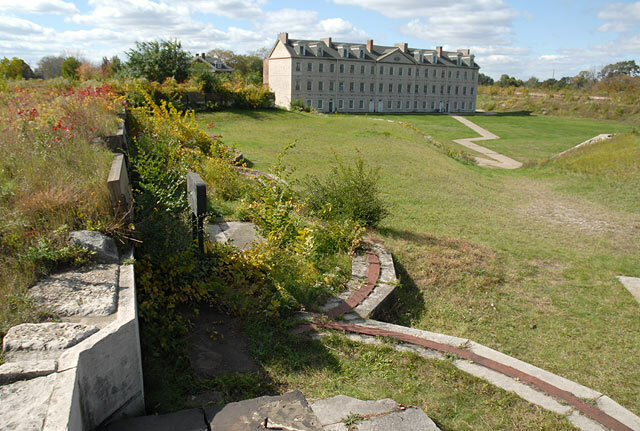 Below: The barracks seen from a former gun emplacement across the interior of the fortress. To the west of the fort several significant structures were build over the years such as the officer housing below. 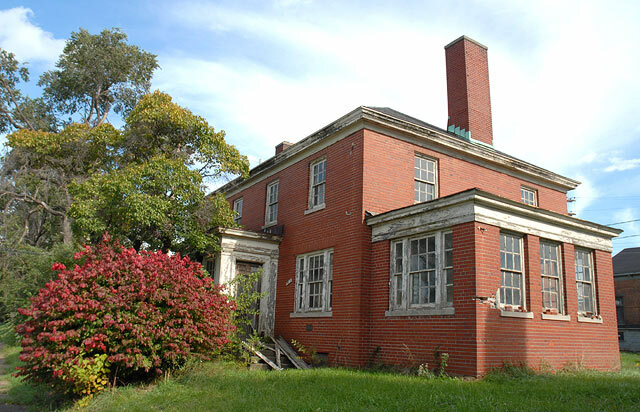 Regrettably neglect at all levels of government has allowed much of this valuable historical asset to fall into ruin.